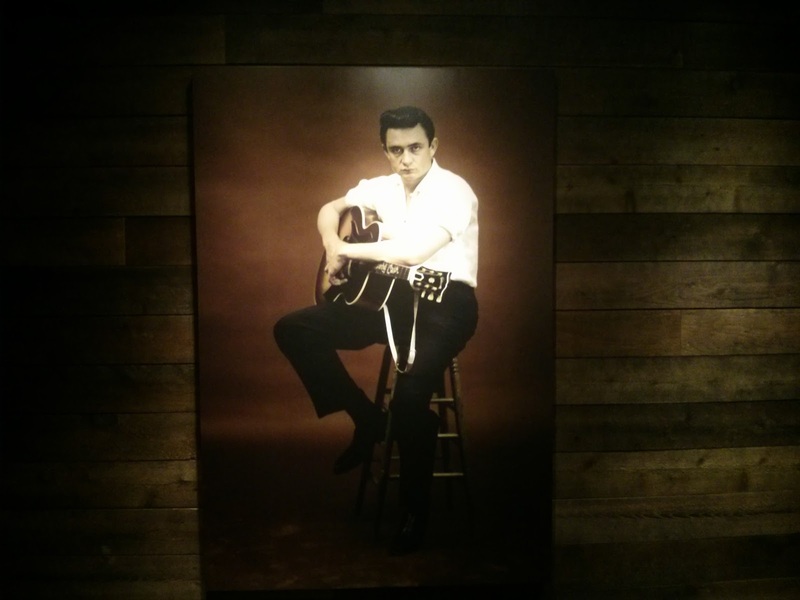 I can honestly say that prior to heading to Nashville, I'd never given Johnny Cash much thought. I have some of his music. If you'd have asked me if I liked him, I would have said yes. I'd seen Walk the Line (and had also worked in Blockbuster's when it came out, so knew the words to the trailer off by heart). 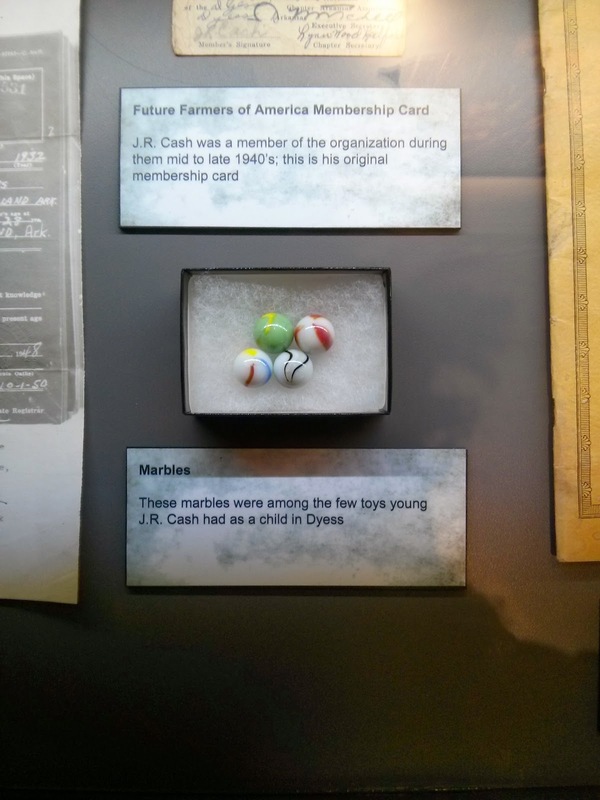 I was interested to learn more, but I had no idea that this little museum in downtown Nashville would blow me away. It only opened its doors a few months ago, but the museum has already made a huge impression. 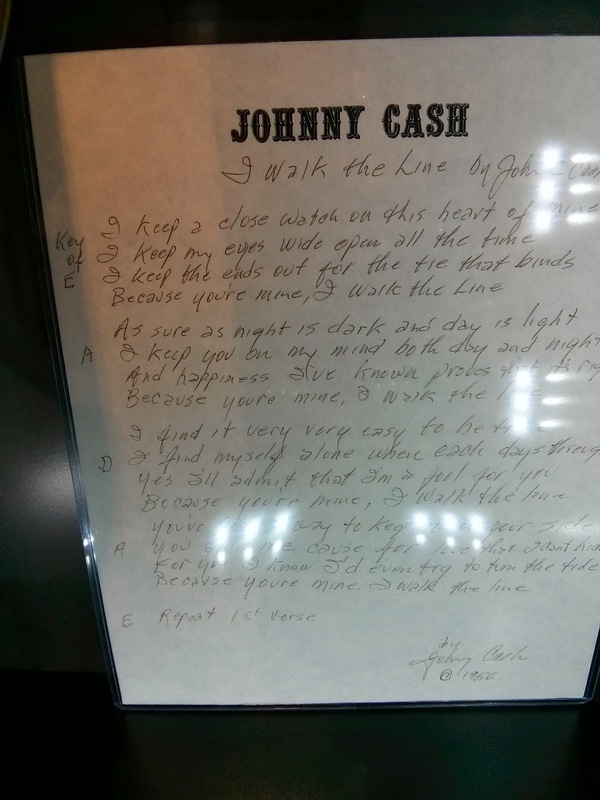 The collection is mostly the work of Bill Miller, and old friend and lifelong fan of Cash. When he was a boy, he caught his harmonica at an early gig, and then dedicated his life to building an astonishing collection of Cash memorabilia. 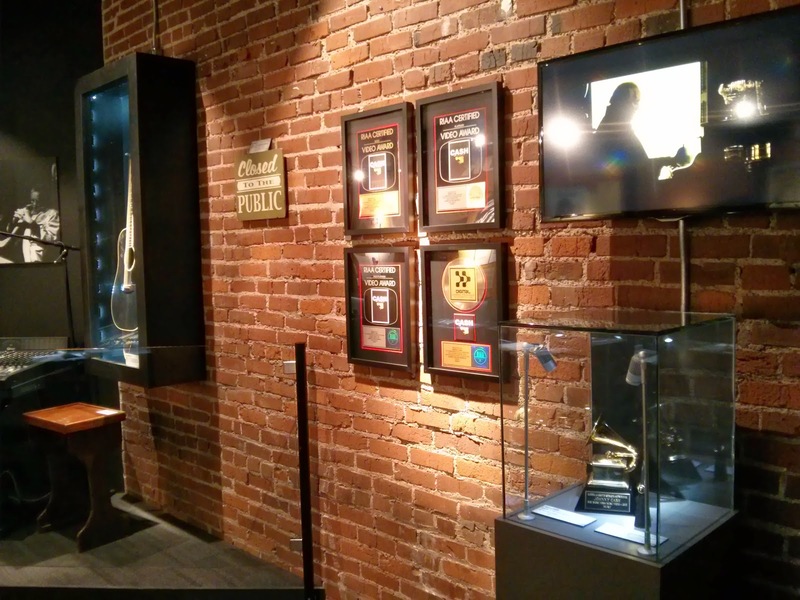 The space is small and intimate, with stations set up to listen to his music through the decades. It begins with his childhood, where you'll find snippets of his adolescent experience. Then comes the story of his time at war, his musical experience and his loves. 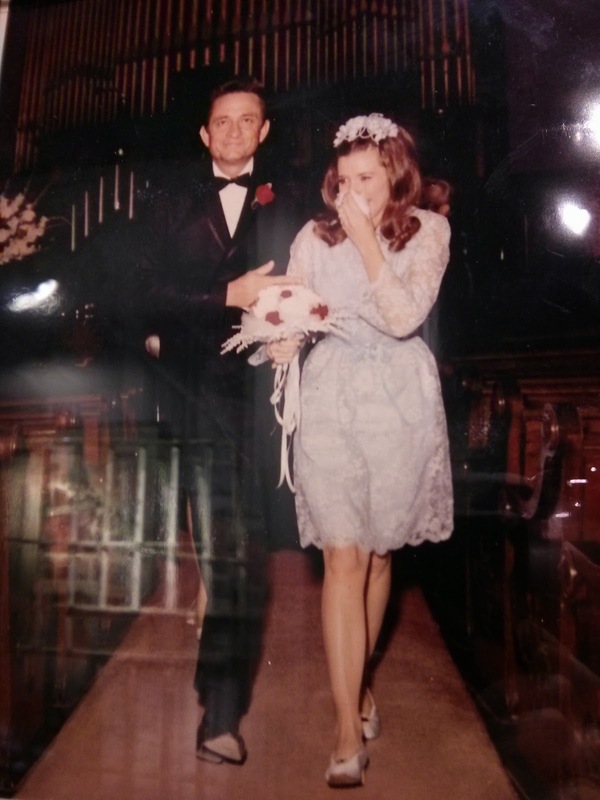 I knew nothing about his first wife, Vivian, who is often a forgotten element of the Johnny Cash story. 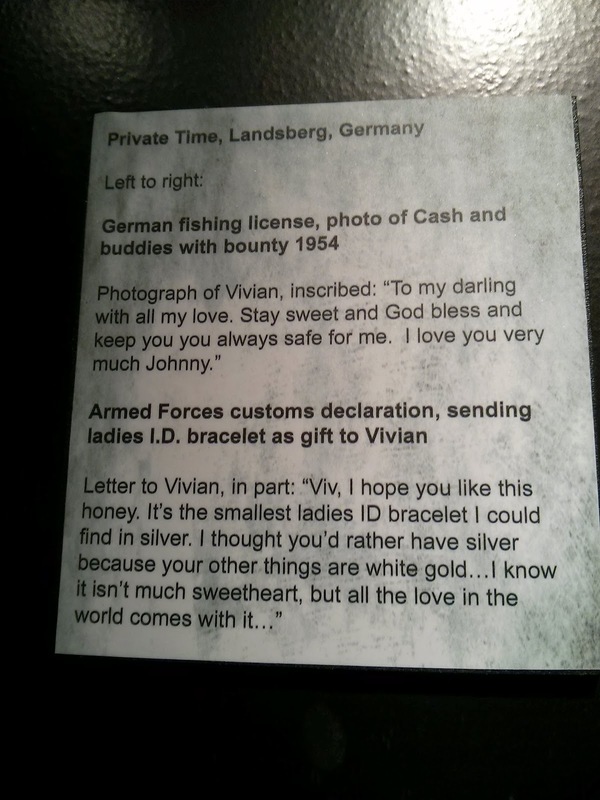 There's nothing like reading old love letters. And a chair from their home. 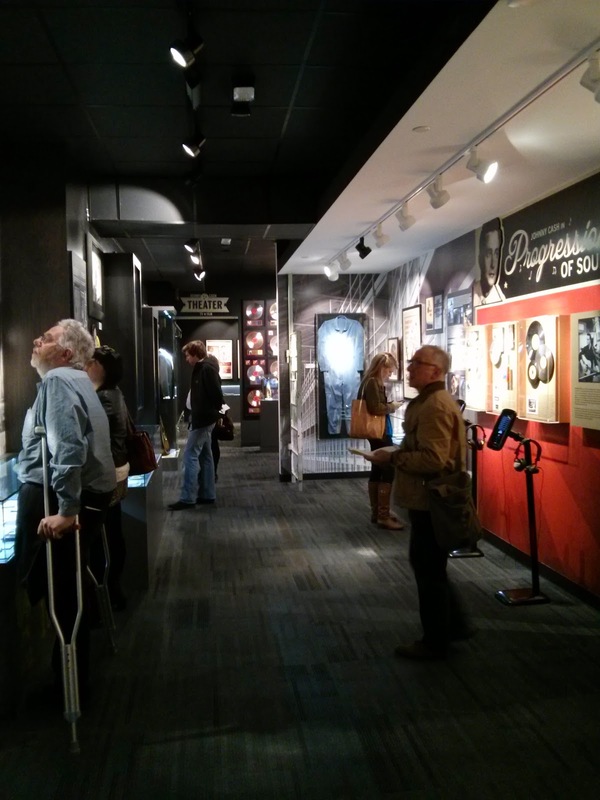 But of course, the bulk of the exhibition is dedicated to his music. 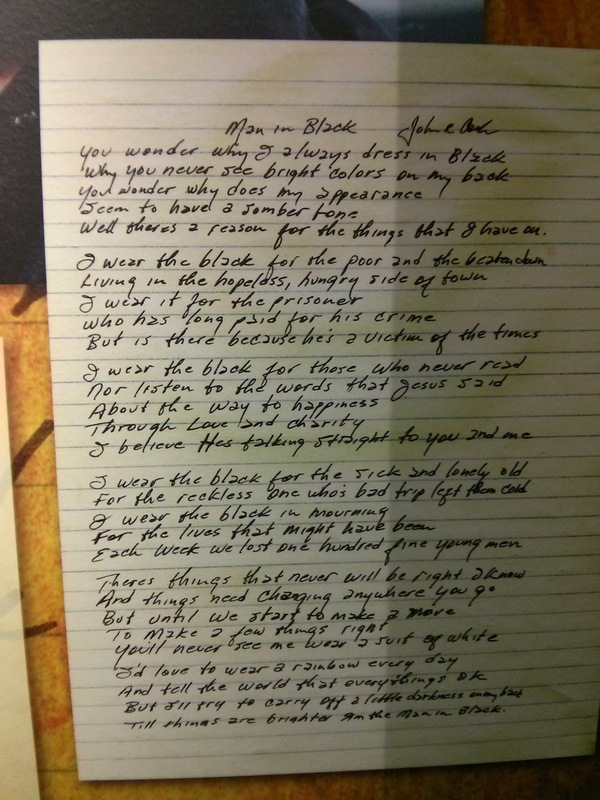 And if there's one thing I love more than nosying at old love letters, it's seeing hand written song lyrics. When I reached the end of the trail, I was alone in a red brick corner. We'd reached the end of his journey, and a television screen was playing the music video for 'Hurt', produced at the end of Cash's life. Maybe it was seeing him in his later years. Maybe it was because I'd spent a good hour fully immersed in his life story. Maybe I was just a little tired. But I couldn't help shedding a little tear as I stood alone and watched him sing. The only thing that could cheer me up? 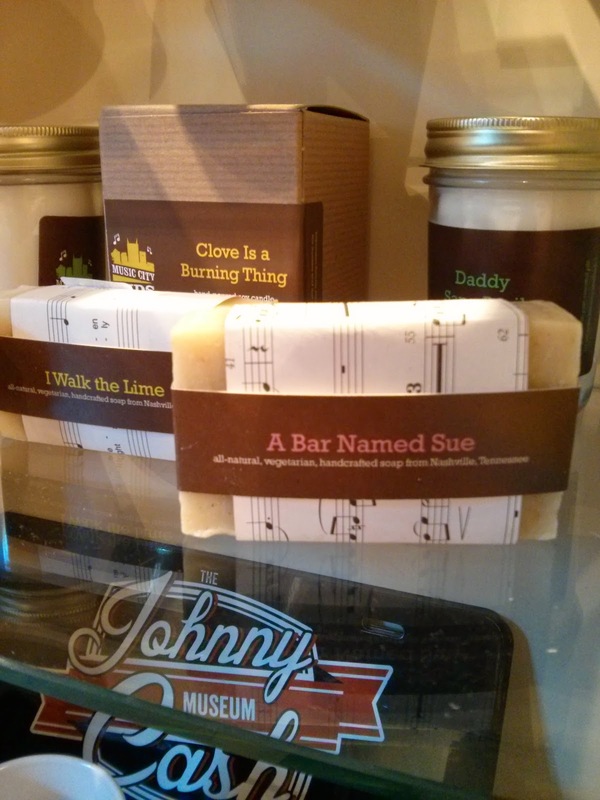 Brilliantly titled soaps and candles in the shop. Puns! PUNS! A Bar Named Sue found its way home with me. Amazing gallery collection! Their wedding pictures is my fav. one. Thanks for this amazing post.